Bottles and Jars Plastic Bottles are ideal for storing and collecting specimens and lab supplies. Wide neck and straight sides facilitate easy recovery of contents. Rigid Clear Polystyrene Jars offer glass-like clarity with a smooth surface that is slip-resistant. Natural Polypropylene Jars are translucent and durable. Polypropylene offers greater tolerance to high temperatures than HDPE and better contact clarity. Co-polymer Jars are made from polypropylene and styrene. This combination gives the jars great temperature tolerance and rigidity. 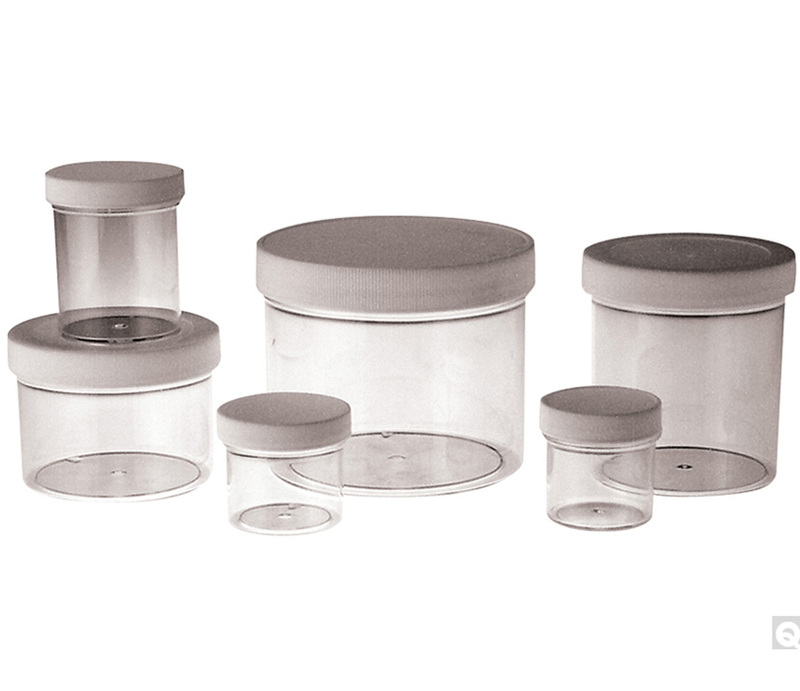 White Polypropylene Jars are ideal for solids, powders and cosmetics.